An example showing the use Bluetooth Object Push Profile (OPP). 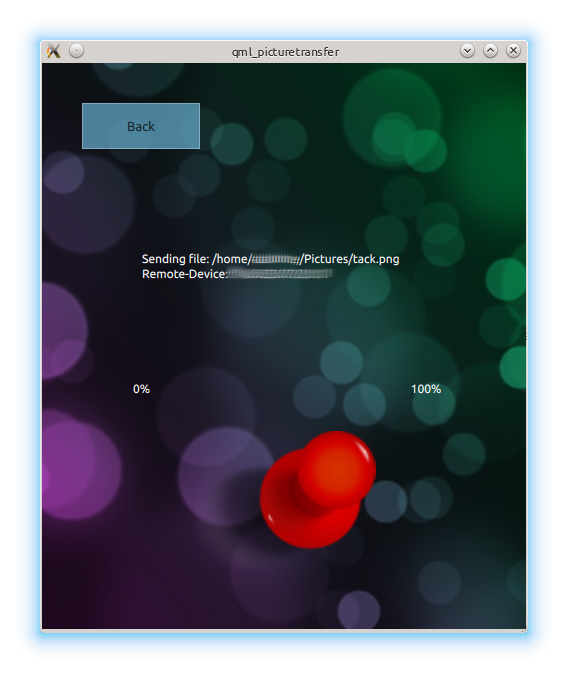 The Bluetooth Picture Push example shows how to use the QBluetoothTransferManager API. 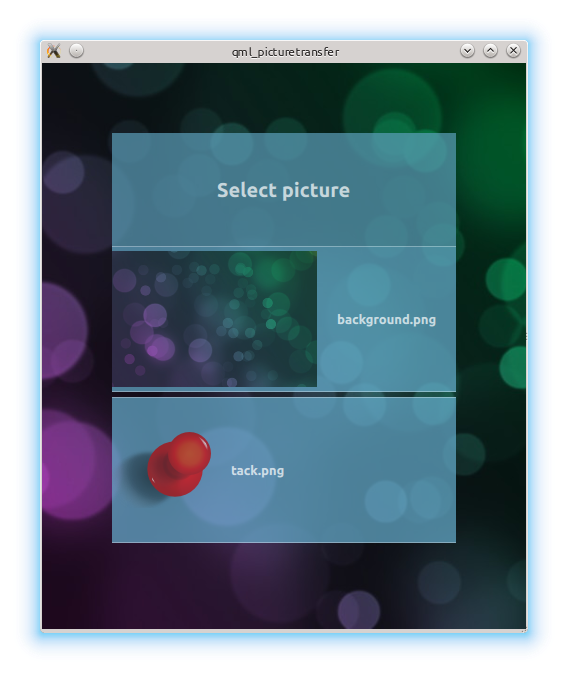 The example transfers a local image to a remote device. Unfortunately this example cannot be used on Android as Qt does not support the Object Push Profile (OPP) on this platform. 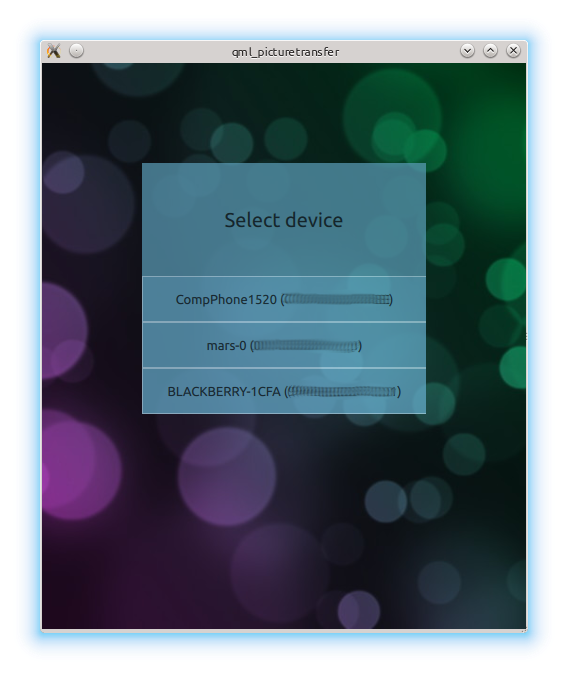 The device discovery uses the BluetoothDiscoveryModel to detect the remote devices. Each discovery is displayed as an entry in a list. Once a device was selected the device address is stored in the root element. More details about the root element will follow further below.